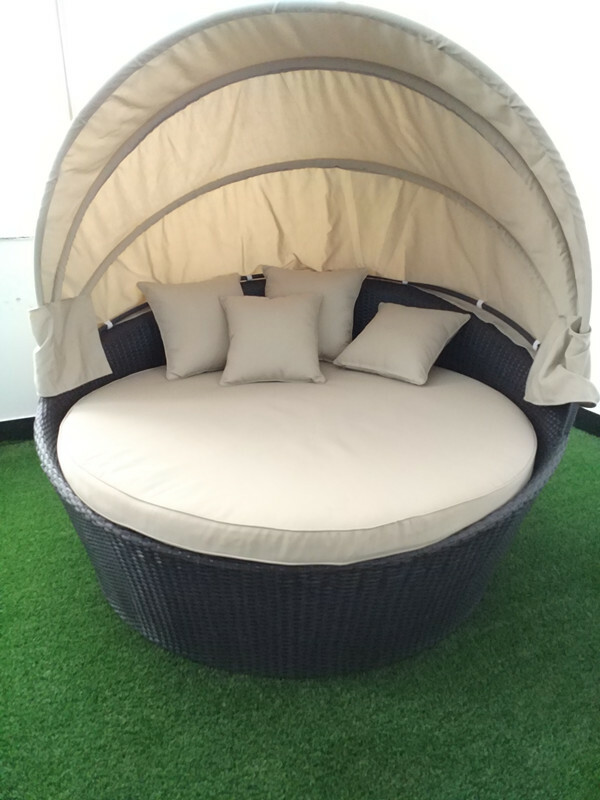 Rattan Holiday Bed With Retractable Sun Cover. Strong And Sturdy Construction, Elegant Style, Will Completely Transform Your Outdoor Living Space, Excellent Craftsmanship. The Seat Pieces Are Infinitely Reconfigurable, Allowing You To Rearrange, Unique Design Wicker With Cream Cushions And Retractable Suncover. Looking for ideal Rattan Holiday Bed Manufacturer & supplier ? We have a wide selection at great prices to help you get creative. All the Leisure Sun and Sand Bed are quality guaranteed. 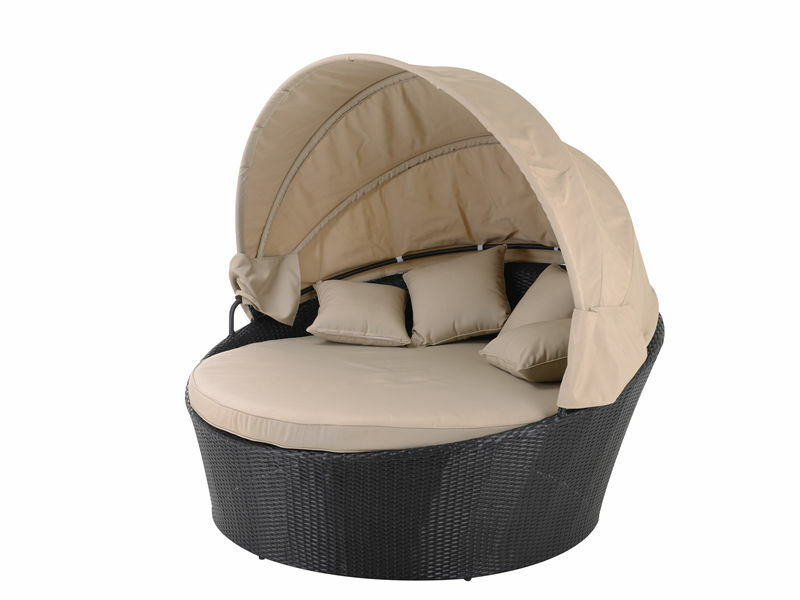 We are China Origin Factory of Round Daybed Outdoor Sofa Bed. If you have any question, please feel free to contact us.